Asia, Latin America, and the Middle East are projected to the lead the global property insurance industry due to massive investments in infrastructure and energy in those regions. The industry witnessed modest growth during 2006-2011 and is expected to continue that momentum over 2012-2017 to reach $390 billion by 2017. This report is segmented into four regions: North America, Europe, APAC, and Rest of the World (ROW). North America dominates the industry; however, the ROW region is forecast to replace it over 2012-2017. The author has identified that increasing numbers of catastrophic weather events and civil unrest are the major industry growth challenges. Increasing per capita income, customer self-service, and increasing infrastructure spending in emerging countries are the drivers providing the industry with competitive advantage. Insurers tend to leverage market potential by offering new green insurance policies that encourage green home building and by offering self-service portals to avail faster, customized services to customers. This market report is an indispensable reference guide for materials suppliers, product manufacturers, investors, executives, distributors, and many more that operate in this market. To make business, investment, and strategic decisions, timely, useful information is required. This research report provides crucial understanding of recent market scope, and background, cost comparison, product portfolio analysis, relative market attractiveness by region, emerging trends, price trends, market forecasts, Porter's Five Forces Analysis, growth opportunities, and profitability trends and analysis of the major market players. The report helps current suppliers realistically assess their capabilities, strategies, vis-a-vis leading competitors. It is designed to provide executives with strategically significant competitor information, data analysis and insight, critical to the development and implementation of effective marketing and sales plans. This comprehensive guide provides readers with valuable information and the tools needed to successfully drive critical business decisions with a thorough understanding of the market's potential. 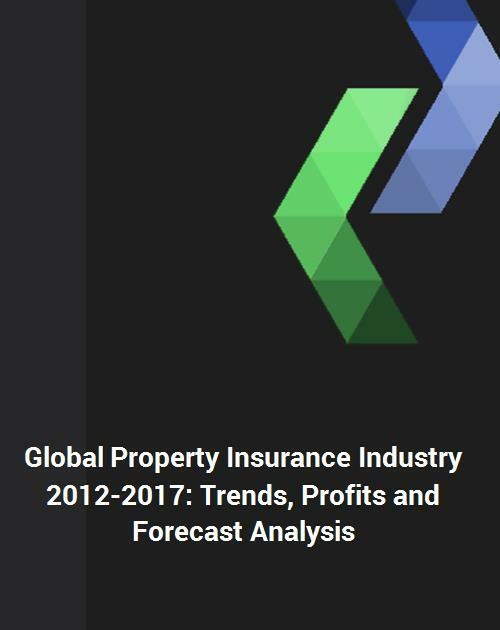 This report will save clients hundreds of hours in personal research time on a global market and it offers significant benefits in expanding business opportunities throughout the global property insurance industry analysis. In a fast-paced ever-changing world, business leaders need every advantage available to them in a timely manner to drive change in the market and to stay ahead of their competition. This report provides business leaders with a keen advantage in this regard by making them aware of emerging trends and demand requirements on an annual basis.